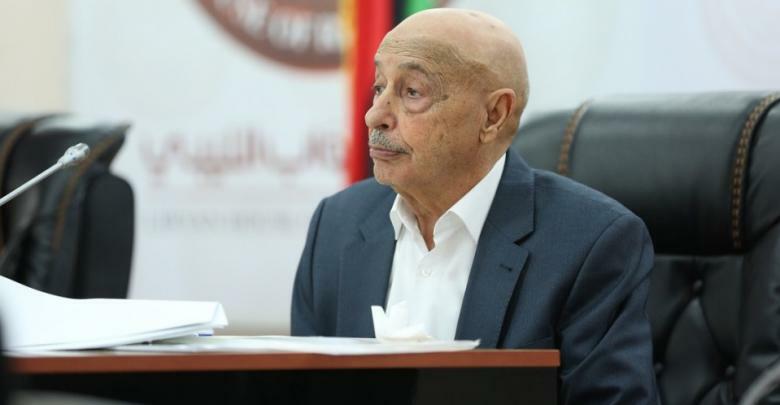 The United Nations has not taken any step regarding armed groups’ control on the Government of the National Accord (GNA), speaker of the House of Representatives (HoR) Aguila Saleh said Saturday. The HoR will prepare for the elections after the Libyan National Army (LNA) ends its operation, launched April 4 to “uproot terrorist and armed groups from Tripoli,” Saleh said during the first parliamentary session the HoR headquarters in Benghazi. Previous sessions were held in Tobruk since the 2014 election. Saleh reiterates a claim previously voiced by the LNA spokesperson that the GNA allied with armed groups from Misurata to stand against the army’s progress in Tripoli. He added that the LNA bears the responsibility to expel terrorist organizations from Libya to achieve stability and establish the democracy. Commenting on Libyan frozen assets in foreign countries, he urged the world’s leaders to prevent their theft and lift the UN arms embargo, imposed on Libya since 2011.